The aim was to explore and compare oral health and need for dental treatment in newly arrived refugees from the Middle East and Africa to Norway. Oral examination and structured interviews were performed with attending interpreters. Associations between origin and measures for oral health were studied with multiple linear regression. Half of the refugees (n = 132) reported oral impacts on daily performances (OIDP) and mean number of decayed teeth (DT) was 4.3 (SD 3.5). 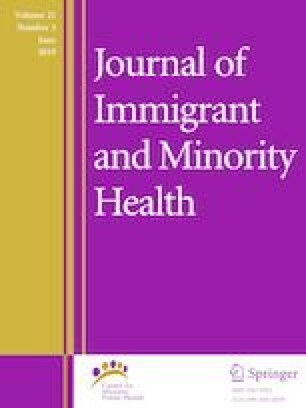 Refugees from the Middle East had more DT (1.38, p = 0.044), higher sum of decayed, missing and filled teeth (DMFT) (3.93, p = 0.001) and lower OIDP-score (− 3.72, p = 0.026) than refugees from Africa. Refugee oral health is generally poor, with more extensive challenges in refugees from the Middle East. However, few missing teeth, and manageable caries-gradient at the time of registration indicate that most refugees have the prerequisites for a good dentition, provided they get the necessary treatment. The authors would like to thank the Norwegian Directorate of Immigration, particularly the personnel at the reception centers Bjørnebekk, Bærum, Dikemark, Drammen, Hobøl, Moss, Skedsmo and Tønsberg. This research received no specific grant from any funding agency, but interpretation services were supported by the Norwegian Directory of Health. All procedures performed in studies involving human participants were in accordance with the ethical standards of the Norwegian Ethics Committee and with the 1964 Helsinki declaration and its later amendments. United Nations High Commissioner for Refugees (UNHCR). UNHCR chief issues key guidelines for dealing with Europe’s refugee crisis. 2015. http://www.unhcr.org/55e9793b6.html Accessed 8 Nov 2017. Digital Solutions for Health Personnel (DIPS). Electronic Patient Journal. https://dips.com/no/pasientjournal. Accessed 28 Oct 2017. The Norwegian Directorate of Immigration (UDI). RS 2011-044. Fordeling av asylsøkere fra transittmottak til ordinære mottak. (Distribution of asylum seekers from transit to ordinary reception centers). https://www.udiregelverk.no/no/rettskilder/udi-rundskriv/re-2011-044/. Accessed 8 March 2017. The Norwegian Directorate of Immigration (UDI). Fact sheet 2015. https://www.udi.no/en/statistics-and-analysis/annual-reports/tall-og-fakta-2015/faktaskriv-2015/. Accessed 5 Dec 2017. Salita Interpretation- and translation services. Tolke- og translatørtjeneste AS. https://www.salita.no. World Health Organization (WHO). WHO’s oral health country/area profile programme (CAPP) database. 2013. http://www.mah.se/CAPP/Country-Oral-Health-Profiles. Accessed 14 March 2017.